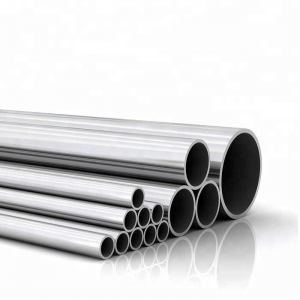 Stainless Steel Pipe is the abbreviation of stainless acid resistant steel, and it is resistant to air, steam, water and other weak corrosive media. All of type of steel with rustless property are collectively referred to as stainless steel. Meanwhile, the steel, which is resistant to chemical corrosion (acid, alkali, salt and other chemical erosion), is called Acid-proof Steel. Sino East Steel provide wide range of steel products, in meantime, the stainless steel products meet to prime quality and related products’ categories such as stainless steel pipe, stainless steel sheet, and stainless steel coil. Stainless steel can be classified into relative types according to the structure and shape, and also can be classified according to its content of metallic elements. SinoSources.com may ensure oversea buyers’ purchase of all kinds of stainless steels through top suppliers of stainless steel. Chromium containing 15% to 30%. 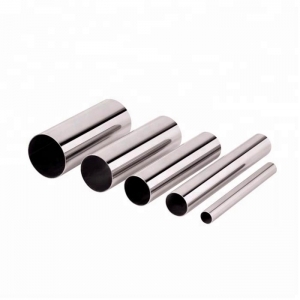 Its corrosion resistance, toughness and weldability gradually improve with the increase of chromium content, and its chloride stress corrosion resistance is better than other types of stainless steels. Its corrosion resistance and oxidation resistance are good, but mechanical properties and process performance are poor. 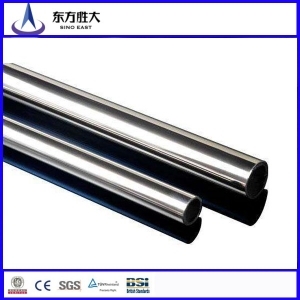 This stainless steel is used in the equipment of nitric acid and food factories , and can also be used to make parts working at high temperatures such as gas turbine parts. Chromium content is more than 18%, and also contains about 8% nickel and a small amount of molybdenum, titanium, nitrogen and other elements. It has good comprehensive properties and can withstand corrosion from multiple medium. This kind of stainless steel has good plasticity, toughness, weldability, corrosion resistance, no magnetism or weak magnetism. It is used to make acid-resistant equipment such as corrosion-resistant containers and equipment lining, transportation pipelines, nitric acid-resistant equipment parts, etc. It can also be used as the main material of stainless steel clocks and watches. Normally following 304, 304L, 316, 316H, 316L, 317, 321 are common model uses in any industries and purchased by oversea buyers. 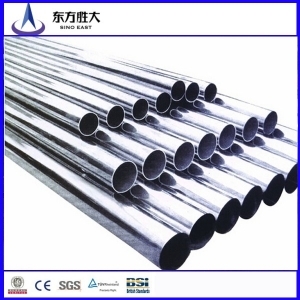 Sino East Steel provides wide ranges of size of stainless steel pipes and tubes. Below is concrete information: (Thickness of pipes in metric and in British standard). 10, 12, 15, 22, 25, 28, 30, 32, 35, 38, 40, 45, 50, 60, 63, 65, 70, 75, 56, 80, 90, 200, 300 (mm). Schedule 5s, Schedule 10s, Schedule 20s, Schedule 40s, Schedule 80s, Schedule 160s. 1, 1.25, 1.5, 2, 2.25, 2.5, 2.75, 3, 3.5, 4, 5, 6, 7, 8, 10, 12, 16 (inch). 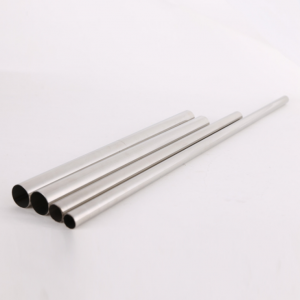 The stainless steel pipes the company supplied may match to related international and domestic industrial standard such as GB, JIS, ASME, ASTM, AISI, UNS, BS and DIN, etc. The stainless steel supplied by the suppliers from SinoSources.com has been polished process to ensure the quality. The most of finished products of stainless steel have to ensure its good weldability. So the stainless steel suppliers from SinoSources.com may offer you stainless steel with good weldability. Stainless steel still maintains excellent physical and mechanical properties at high temperatures. When the quantity of chromium atoms in steel is not less than 12.5%, it may prevent electrochemical corrosion. Most stainless steel products require good corrosion resistance such as tableware, kitchenware, water heater, water dispenser, etc. Some foreign buyers also test the corrosion resistance of products.